In February 1915 the Rev. C.A. Hutchinson opened the Vicarage for a hospital for wounded soldiers. 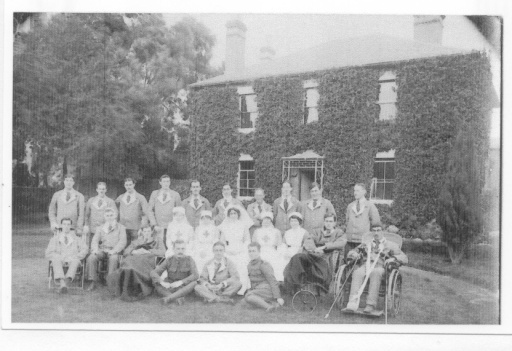 Tisbury Red Cross had been trained and planning completed by the end of 1914 according to the Annual Report presented by the Chairman Lady Mary Morrison, so they were ready when called upon. They could immediately accommodated 15 men after alterations had been made. The equipment was largely paid for by Mr Hugh and Lady Mary Morrison of Fonthill. When the number of casualties rose Trellis Cottage, next to the Catholic Church, was rented and equipped. According to the British Army Medical Records the two establishments housed 49 men. Mrs Miller, of Tisbury, records that, when they closed on March 17th 1919 at least 1310 British, Australian and Canadian patients had been treated. 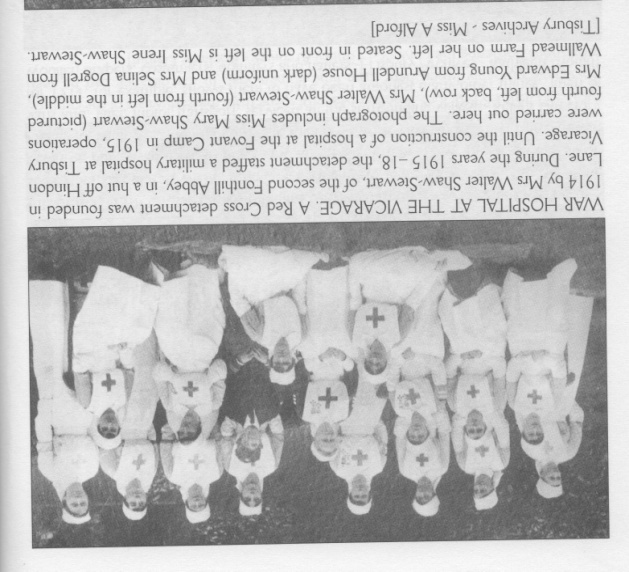 It was staffed by 50 VADs ( Voluntary Aids Detachment – a combination of Red Cross and St John’s Ambulance for the duration of the war) plus 3 or 4 Registered Nurses with Mrs Shaw-Stewart of Fonthill acting as Matron (Commandant). 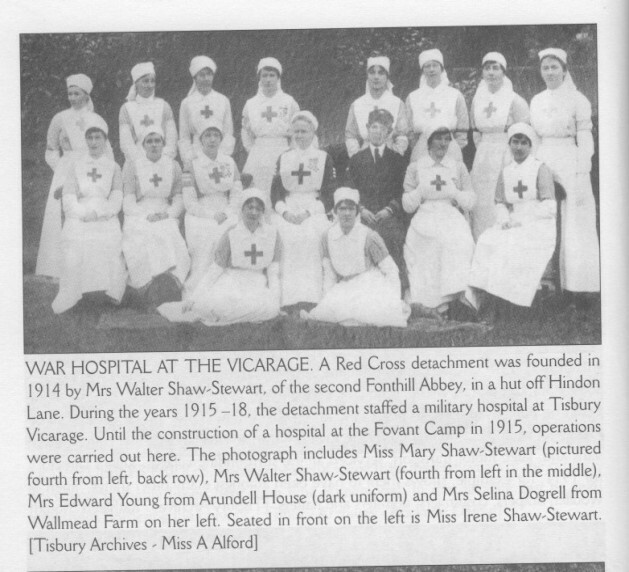 Two of her daughters donned uniforms to do their bit and one, Mary, was awarded the Royal Red Cross, the highest decoration for VADs, for her contribution. Dr H.A. Barker gave his time free as Medical Officer for the four years it existed. Many local women helped with mending, supplying entertainment and activities for the men both in the hospital and other halls in the village. 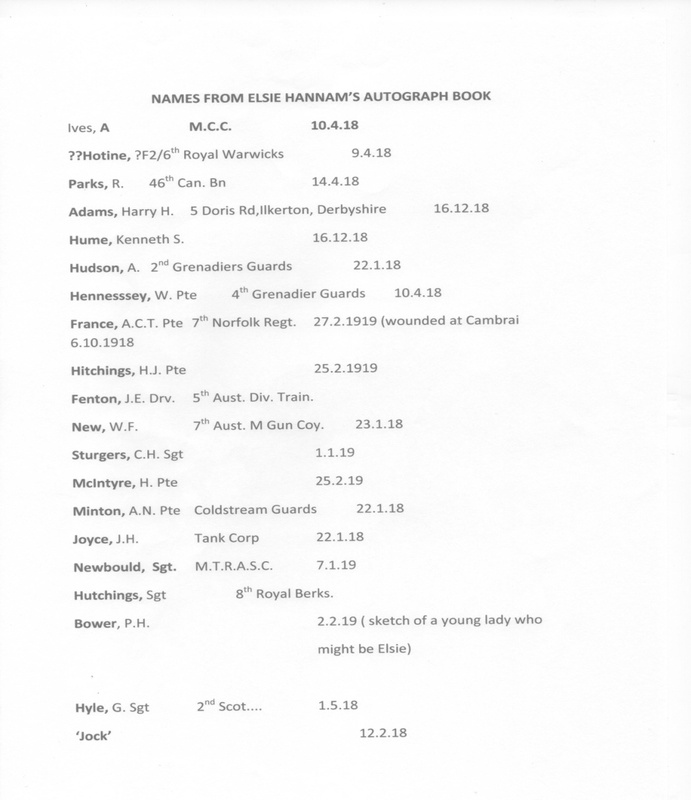 Elsie Hannam was typical of the VADs (Voluntary Aid Detachment, a temporary combination of the British Red Cross and St John’s Ambulance) who staffed the convalescent hospitals which sprang up around the country. She cycled to work at Trellis Cottage from Ridge, a small hamlet close to Tisbury. 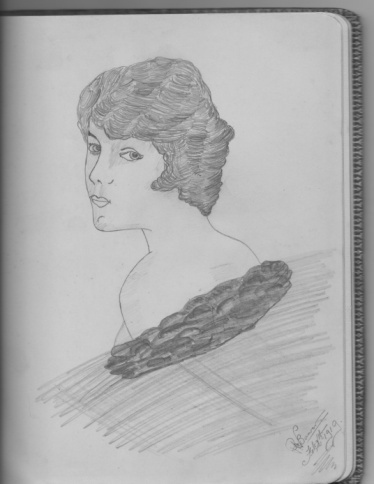 As some of the young girls did she fell in love with, and became engaged to one of the Australian soldiers she nursed. When the war finished and he was to be repatriated her family were loathe for her to travel to the other side of the world. She broke off the engagement and stayed in England. She later married a neighbouring farmer’s son and lived at Fonthill Bishop.